Here is a little background on the study released during the Vivatech event dedicated to startup and technological innovation, called “How are startups shaping the future of road mobility?” in which a chapter was dedicated to cybersecurity. The automotive industry must now consider cybersecurity as an integral part of how cars are built, just as physical safety became a critical part of how cars were built in the late 20th century. Many people in this field caught on leading to the creation of many startups on the topic. Today, no less than 20 startups try to provide solutions to face automotive cyber risks. Those startups show that the challenges to be handled are almost the same as those usually encountered in other sectors but need to be addressed differently. 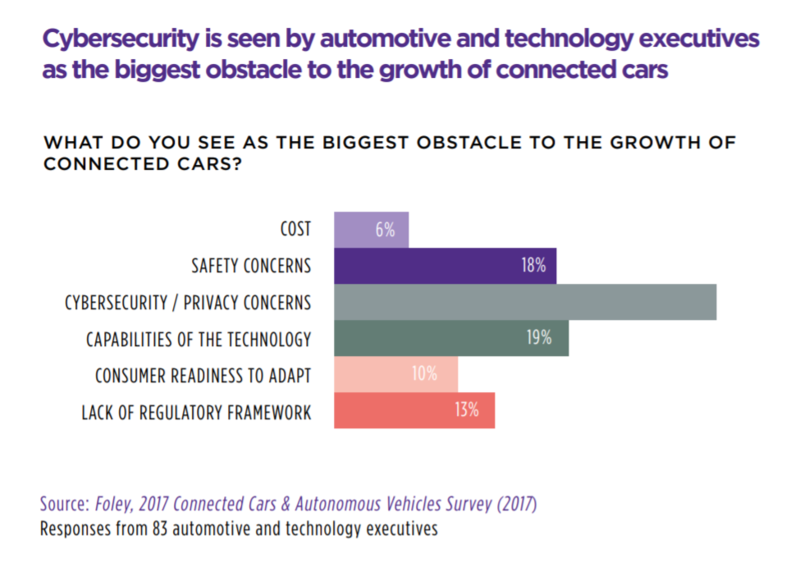 It appears clearly that intrusion detection and threats prevention are two of the most covered topics as 70% of the automotive cybersecurity startups are offering related solutions. One can say that the market and car manufacturer kept in mind what happened to the Jeep Cherokee. However this figure may originates from the fact that is probably easier to provide security at the car boundary rather to integrate cybersecurity in the current constraint in-vehicle architecture and components. One another key point is that vehicles have a lot in commons and share, for some aspects, the same characteristics with the Internet Of Things. That’s why it is not surprising to see startups like Prove&Run or IoT.BZH coming from this world and offering embedded software and hardware oriented security services and solutions to the automotive market. Even if startups mainly offer solutions and services to secure existing systems and architectures within modern vehicles, there is a trend today showing some of them are anticipating and building cybersecurity solutions for the forthcoming systems and architectures. The startup Argus Cyber Security* is a good example. One of its first products was the “CAN firewall”, to protect the historical CAN network which is still the reference protocol in current vehicles. The startup has since developed new solutions like the “In-Vehicle Network Protection Suite” to support a wide array of network protocols – CAN and CAN-FD, FlexRay, Ethernet (with SOME/IP, DoIP etc. ), etc. – and thus defend current and future vehicle architectures. 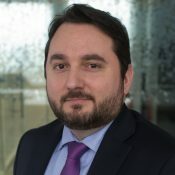 Another example is Arilou Technologies*, which recently designed a new cybersecurity tool called the “Ethernet Security Hub” especially for protecting future connected and autonomous vehicles equipped with Ethernet networks rather than CAN networks. The ongoing creation of cybersecurity startups in the automotive industry over the past years highlights the fact that cybersecurity has become a top concern in the sector. Established automotive companies, like car and equipment manufacturers, know this well. accelerate with the integration of new ways of working and new teams? The answer is certainly a combination of these 3 factors as the connected and autonomous car represents a major shift in their organization and strategy. In addition to these acquisitions, many actors also invest in startups and build partnerships with them, like Denso for example, which recently invested over $2 Million in Dellfer, a startup that was founded in 2016. Besides, startups are not the only ones to be concerned. Some established companies in the field are also concerned, highlighting the market dynamism on the topic. For instance, Thales and Vector recently formed a joint-venture to work on addressing cybersecurity challenges related to the connected and autonomous car. The arrival of autonomous cars is a new challenge for cybersecurity. Many new risk scenarios will have to be taken into account, mainly in the field of attacks on artificial intelligence, advanced sensors security and even automated response to cyber events. To face this new challenge, solutions are only at a development phase and not particularly dedicated to the automotive sector. 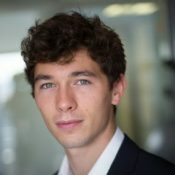 Many researchers like Nicolas Papernot or Ian Goodfellow are currently working on how to prevent Adversarial Attacks which aim at deceiving AI and which could lead, if applied to an autonomous car, to safety issues. Breakthrough solutions are probably being developed by startups from the Zeroth. AI accelerator, an Artificial Intelligence and Machine Learning focused startup accelerator. Although they will undoubtedly provide bleeding edge solutions to these complex problems, no one has declared working on the automotive field yet. Certainly, cybersecurity and safety will have to be addressed jointly to make autonomous vehicles a reality.